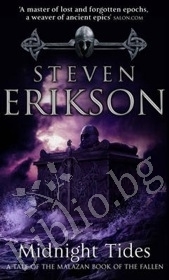 The fifth tale in Eriksons epic "Malazan Book of the Fallen" fantasy sequence. 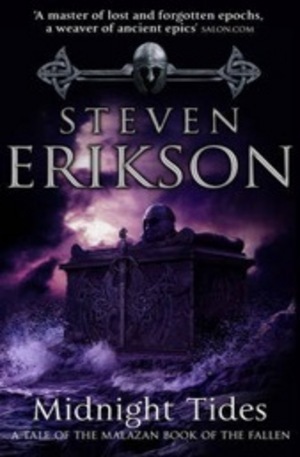 War and confrontation, magic and myth collide in this, the stunning fifth chapter in Steven Eriksons magnificent Malazan Book of the Fallen sequence, hailed as an epic of the imagination and a fantasy classic in the making. 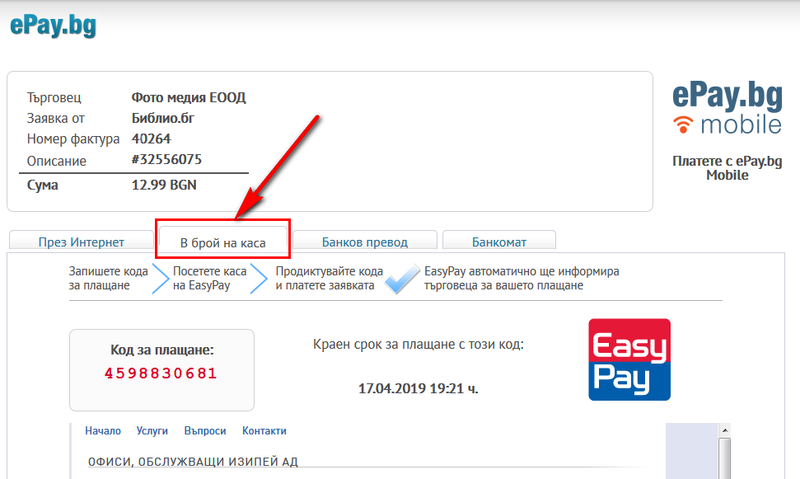 Благодарим Ви, че решихте да споделите с нас вашето мнение за "Midnight Tides".